Unlike my eldest daughter, Alysha, who has not only been inside, the Royal Albert Hall, but has sung on its stage, I have yet to set foot inside. I took this photo on my one and only visit to the hall, on a cold Saturday morning, when I was strolling through the area on my way eastward. Floating Hotel on the Royal Docks. The Royal Docks, which have gone through an amazing regeneration, are home to, among other things, the ExCeL London exhibition centre, London City Airport, The Crystal, plus countless bars, restaurants and hotels. 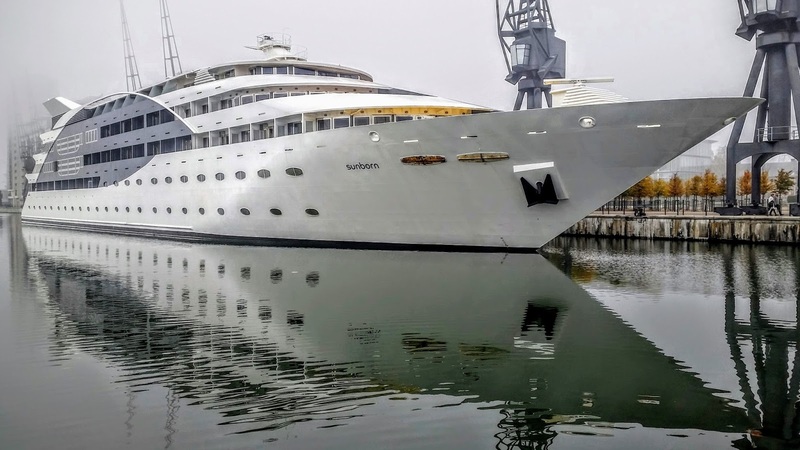 There is, however, one hotel which is moored in the Royal Victoria Dock: The Sunborn London Yacht Hotel. I am hoping to pay a visit to this beautiful looking yacht, next year, even it is just for afternoon tea, or just a few drinks in the bar, one evening. "... who now stood thankful, in the early morning sun." 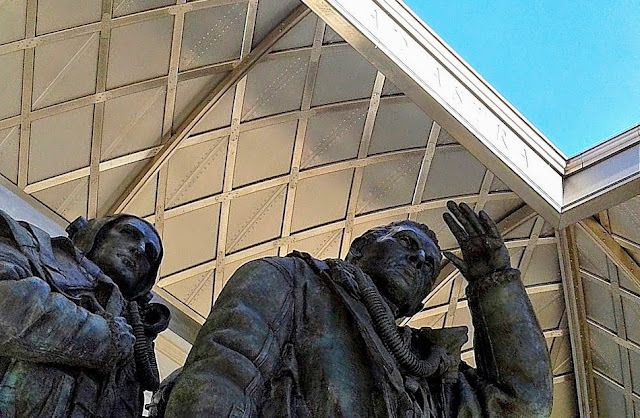 The Bomber Command Memorial, Green Park, is, by far, my favourite memorial, in the Unfinished City. There are countless others that I have visited, but there is something utterly unique about this memorial. I don't know if it is the sheer scale of the memorial, or the detailing of the statues, or its setting at the corner of Green Park, that makes this my favourite, but there is something that keeps drawing me back to it, again and again. In fact, I was so moved when I first saw it, that I ended up writing a poem the following day, entitled 'Morning Sun'. The latest crossing to carry the name London Bridge. 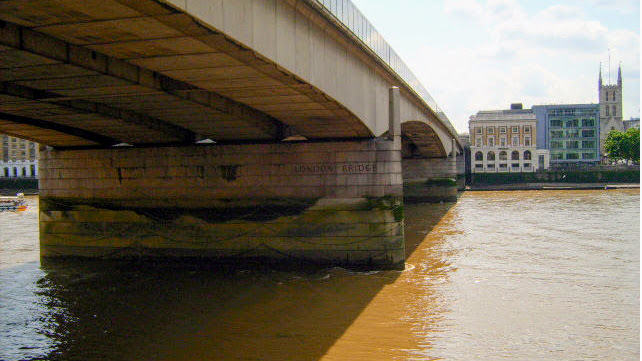 The current London Bridge is said to be the plainest of London's bridges, that cross the River Thames. It is typical of late 20th century engineering, where concrete and simple design were the norm. For me, however, London Bridge is all the more interesting because of its simplicity. Having quite low balustrades and sitting relatively low, in the river, compared to other bridges. London Bridge offers fantastic views, both east and west, which are unhampered by obstructions like lampposts, as these run along the centre of the bridge. Dedicated to St. Magnus the Martyr, earl of Orkney. 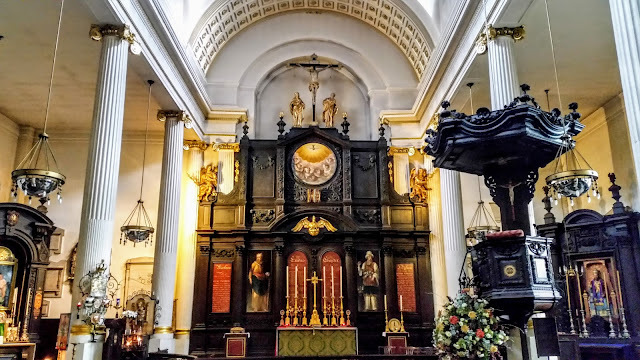 St. Magnus the Martyr, London Bridge, is one of my favourite churches, within the City of London. It is an ornate church which has an almost Palladian style to it, with its white walls, Romanesque columns and gold relief. But the highlight of the church for me, besides all of its long history, is the model of old London Bridge, which shows how the bridge would have looked in the 1400s. It was while strolling around St. Katherine Dock and Marina that I spotted this beautiful old converted warehouse. Intrigued by its name, and style, I decided to find out more about this fascinating building. The finest food market in London. 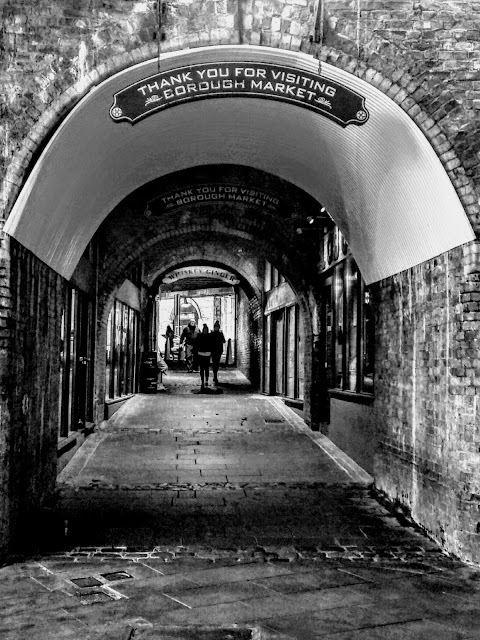 I have come to love my visits to Borough Market, where I invariably stop off for a late breakfast or an early lunch. With a truly great selection of fresh produce, exotic meats and street food from around the globe, there is something here for everyone. It is a vibrant, busy market, where I always discover something new to try. When I was a child I knew the Science Museum as London Buttons. It was a name that I gave it because some of the displays had buttons that, when pressed, made parts of the display move. When I took my daughters I found to my delight, and surprise, some of these interactive displays were still there. 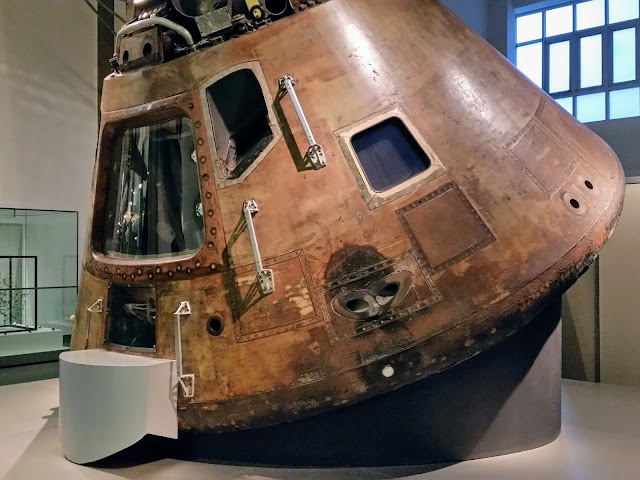 Being much older, and considering how much the museum has expanded, I was surprised by many of the exhibits. Some of them I remembered, while others were new to me. The sheer wealth of artefacts, and history, on display, is amazing, making this a must on any museum list. A Christmas King builds a Norman Castle. 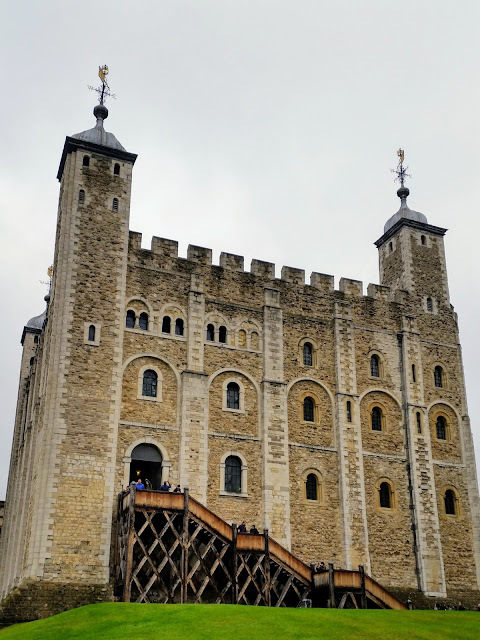 I have walked passed the Tower of London on countless visits, to the Unfinished City, but I had only entered its historic grounds once, and that was over thirty years ago. This weekend I put that right by taking my family to wander around the walls and buildings. Soaking up its rich history and marvelling at its size, which even now, almost a 1.000 years later, is still intimidating, filled me with awe. 'Old Bill' saw action in The Great War. 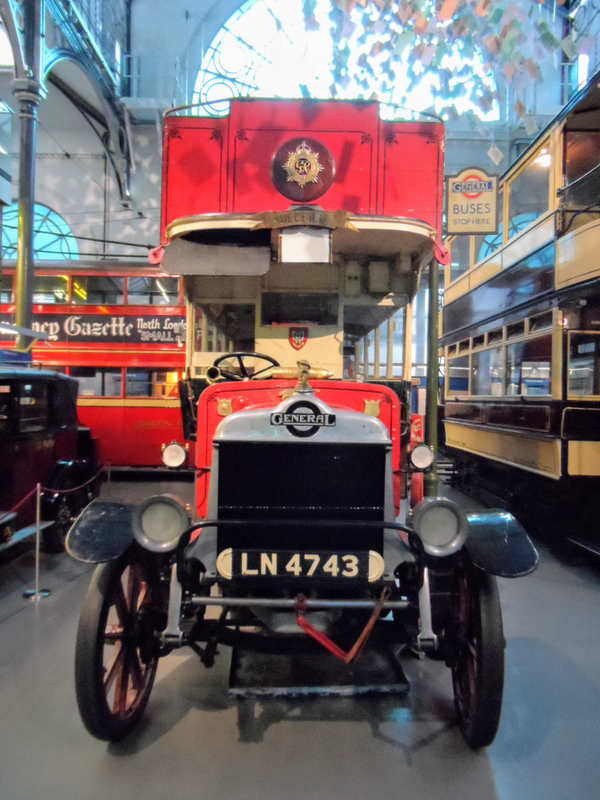 The London Transport Museum is one of those museums that, at first thought, makes you think of musty old buses and trams. Maybe some stuffy uniforms and not much more. And you would be right, but, at the same time, wrong. Yes, there are plenty of buses, trams and trains, but they are in no way musty. 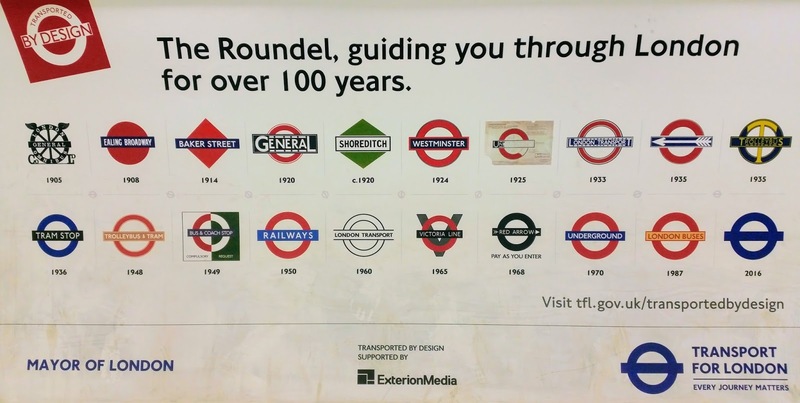 All of the exhibits, which are displayed in such a way as to show the evolution of transport in London. The majority of the exhibits are available for the public to climb aboard, while the remaining ones are too fragile. 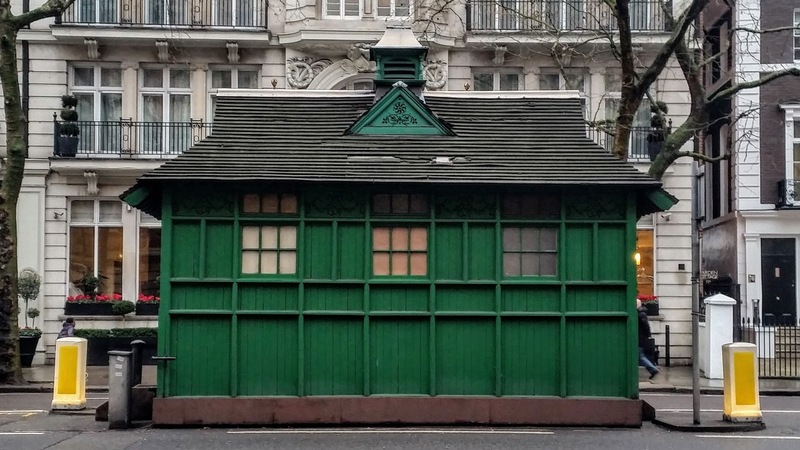 There is everything from Sedan chairs to an original Omnibus. Trams and Taxis. Steam Locomotives to the latest in Underground carriages. 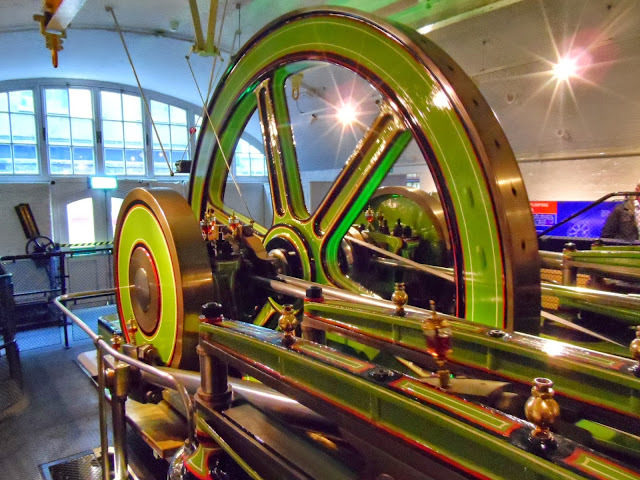 The museum also shows the history of how timetables, signage and posters changed throughout the years, and how transport embraced new technology. It is definitely one of the more hands-on museums that is perfect for the entire family. 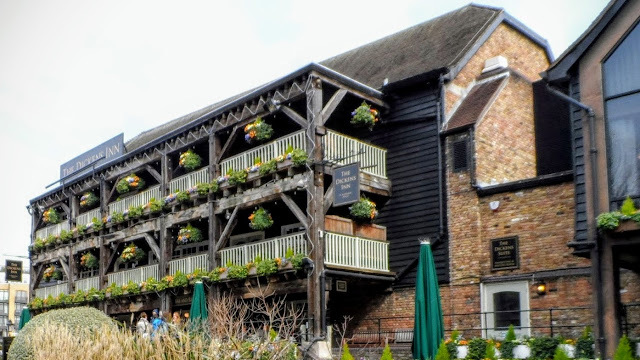 The Unfinished City's last 'galleried' coaching inn. 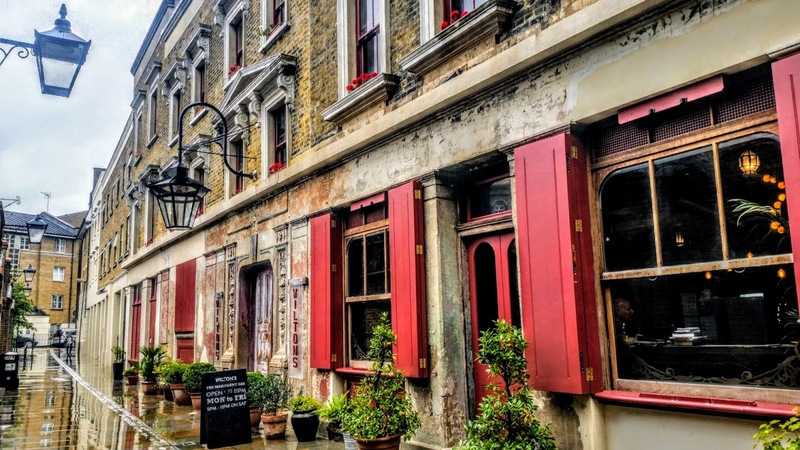 The George Inn is one of those places that has existed, in some form or another, in the great Unfinished City for centuries. 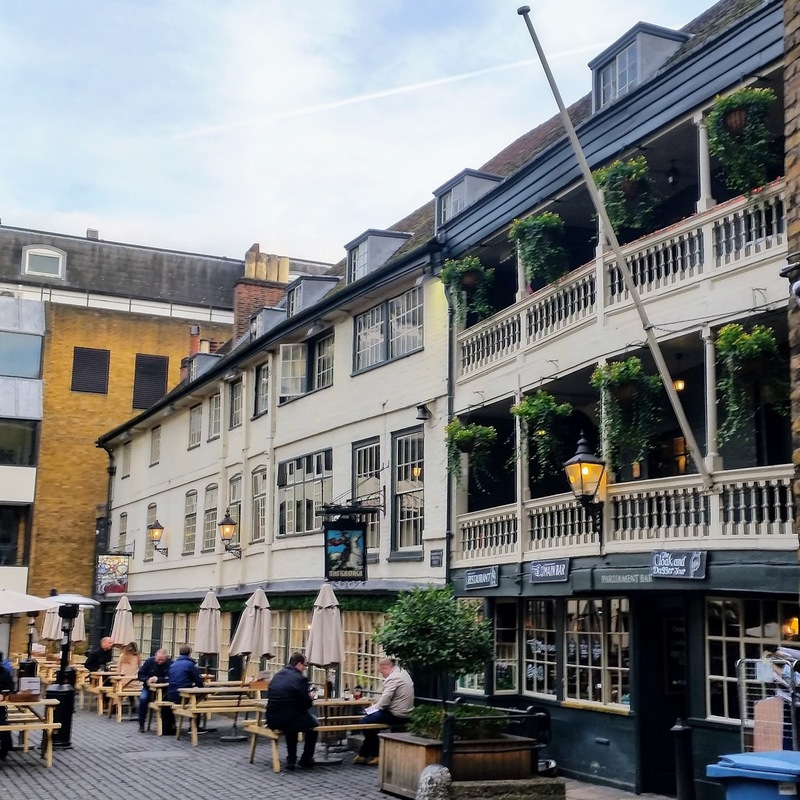 Unlike some other places of this age, though, The George Inn still retains all of the character that you would associate with something of this bygone era. From walking through the bars, that were frequented by Charles Dickens and William Shakespeare, to walking along the gallery, with its uneven and creaky floorboards, you get a real sense of history. 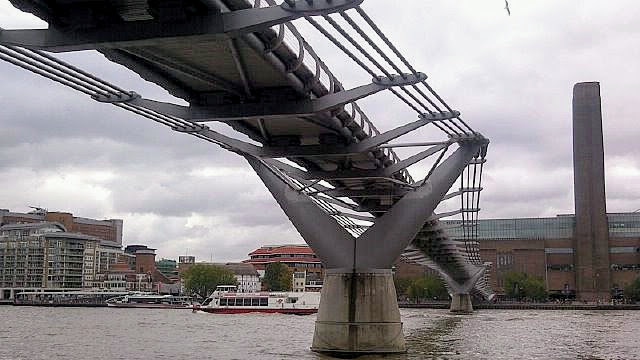 Of the nearly twenty pedestrian footbridges, across the River Thames, this is, quite possibly, my favourite. Spanning the river from St. Paul's Cathedral, in the north, to the Tate Modern, in the south, the views that can be seen from its deck are incredible. When looking north, from Bankside, you get a clear view of St. Paul's Cathedral, framed by the bridge supports. Unfortunately, I never got to cross it on its opening day, nor the following two days, when it began to sway and wobble. I never got to visit the 2012 Olympics, due to work commitments, but I have visited the Queen Elizabeth Olympic Park many times since. 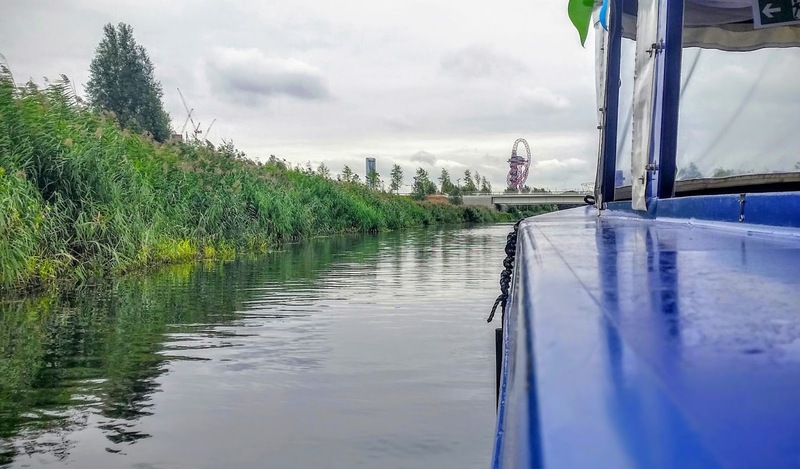 On one such occasion we took a boat tour along the River Lea, which allows you to see many of the Olympic venues, not to mention the varied wildlife, from a truly unique perspective. A new 'Dome of Discovery'. 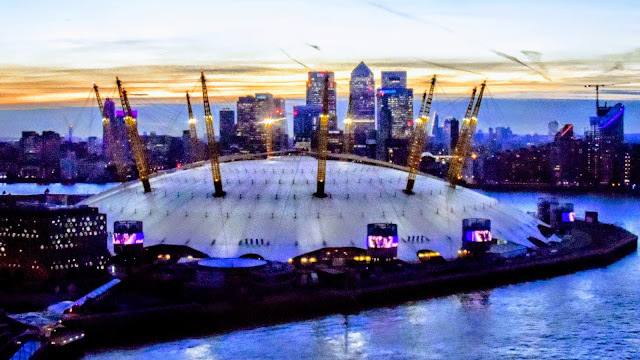 The MillenniuM Dome, or the O2 Arena as it is currently known, is one of my favourite places, in the Unfinished City. 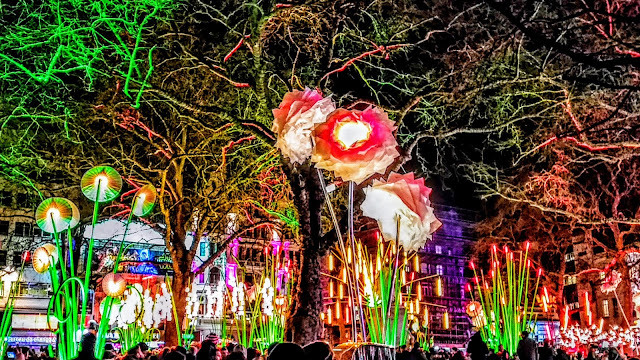 Whether I am there to see a concert or an exhibition, grab a bite to eat or to have a drink, or just to wander around, there is always something to see. This shot was taken from the Emirates Air Line, as the sun was setting behind Canary Wharf. 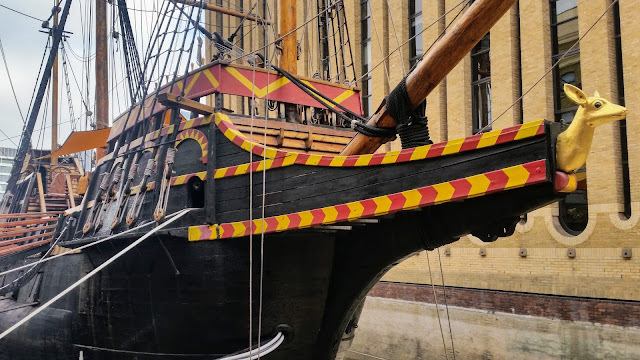 I have often stopped to look at this replica of Sir Francis Drake's world famous ship, but still have yet to set foot on her decks. Next year, I intend to take my girls aboard and, by so doing, will fulfil a personal dream. 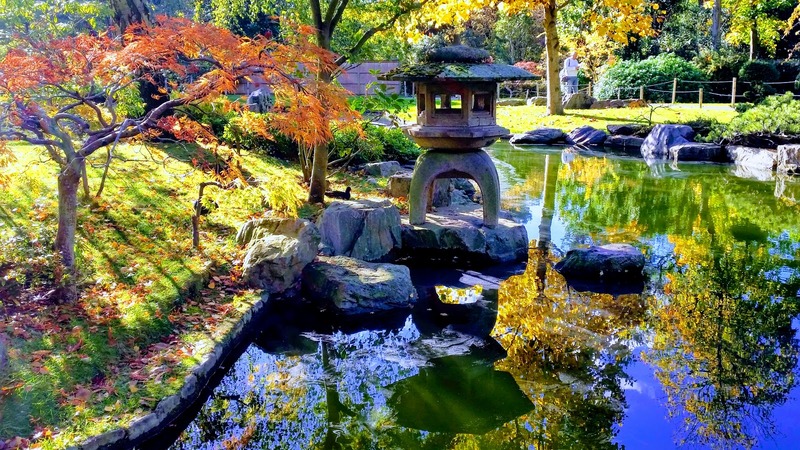 The Kyoto Garden, Holland Park, is one of those places that I had heard a lot about, but, considering my love for all things Japanese, had never visited. This past week I rectified that oversight. With the leaves, on the surrounding trees, creating a coloured patchwork of a myriad colours, coupled with the crystal clear sky, there were so many great photo opportunities that I could have spent the entire day there. It is definitely a place that I will be visiting again. A Monument to Worship, for all time. 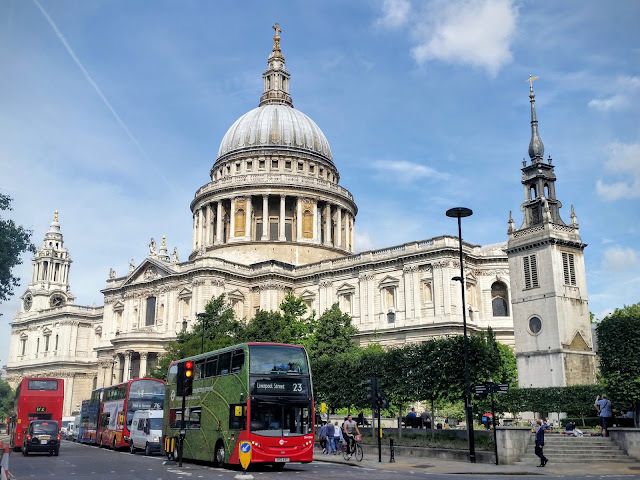 Of all the iconic buildings in and around the Unfinished City, St. Paul's Cathedral, quite possibly, stands head and shoulders above the rest. It is a building with such rich history and great architecture that it is one of the most visited buildings in the world. However, to my own dismay, it is a building that I have yet to see the interior of. Hopefully I can rectify this next year. 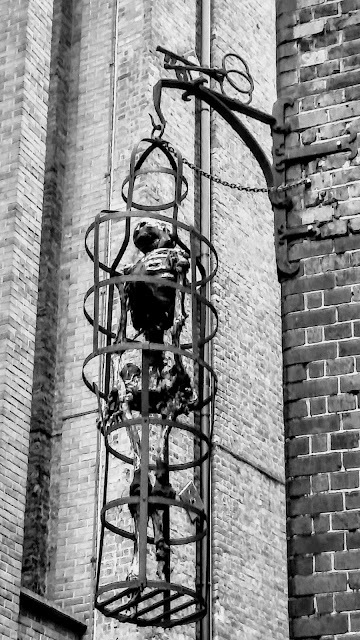 The most notorious medieval prison. 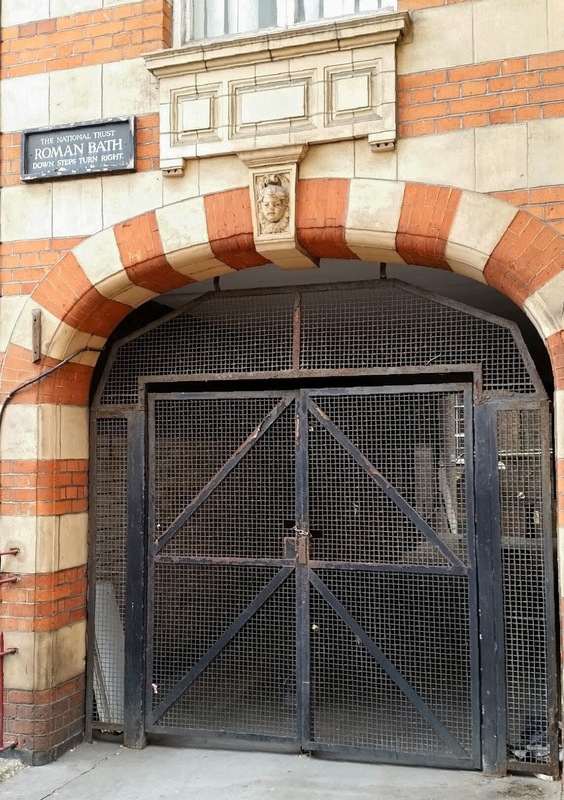 I have walked by the Clink Museum on numerous occasions, but had never ventured inside. 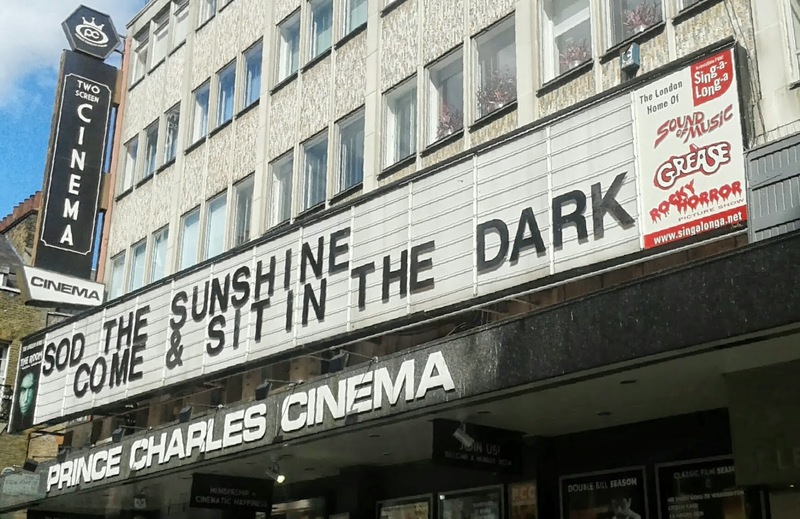 This was something that I needed to rectify, so I took my eldest daughter along, to see what it was like. 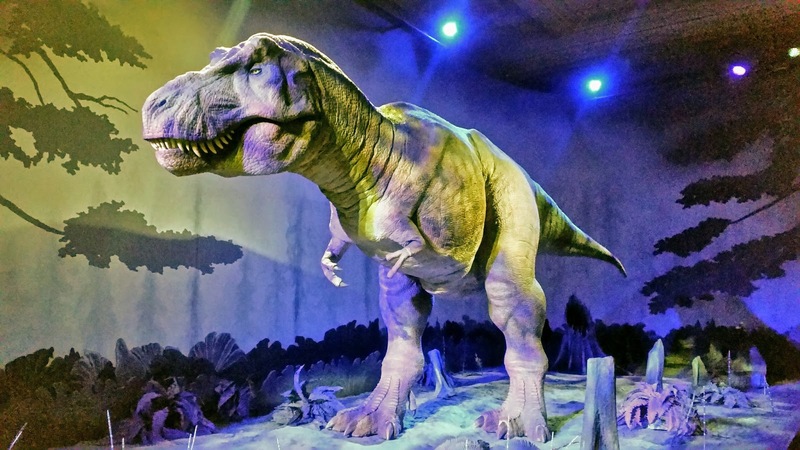 It is a an intriguing museum that makes up for its lack of size with lots of history. Many of the torture devices can be handled and there is plethora of ancient artefacts, too. A Free and Open Market for all sorts of fish whatsoever. I had seen this building from the south bank, and had always been fascinated by it. So, on a remarkably warm November afternoon, as I was walking along the north bank, I found myself in front of this remarkable building. 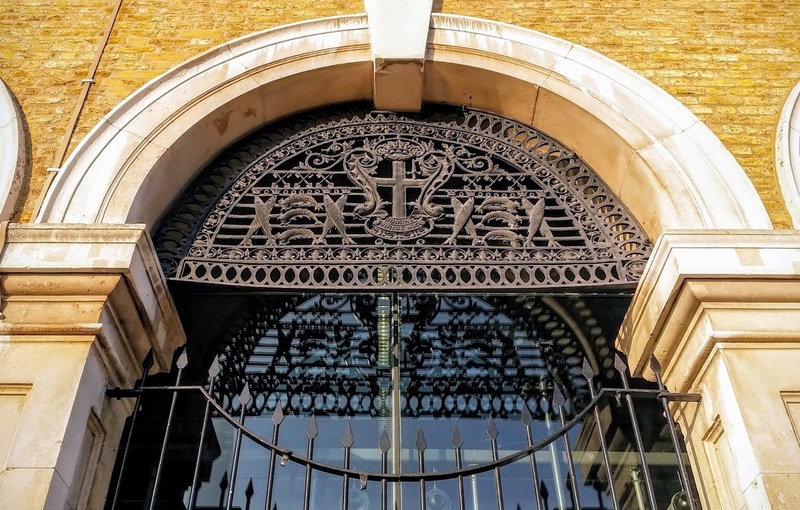 One of the first things that struck me were its arches and ornate ironwork. 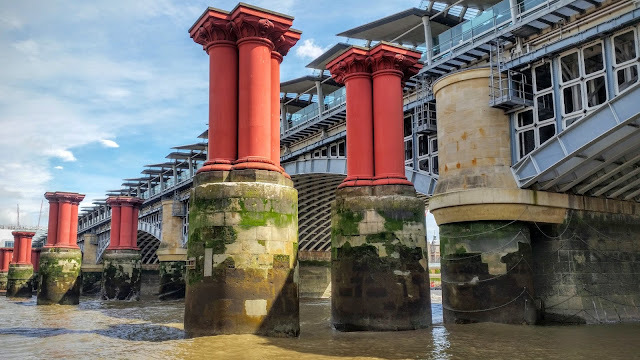 St. Paul's Railway Bridge & Blackfriars Railway Bridge. I had always been fascinated by these towering, red, columns sitting beside the new Blackfriars Railway Bridge, but was unsure of what they were. Obviously, they were supports for a bridge, but what bridge? And, why they are still there? I decided to find out. I absolutely love traveling across the River Thames, via the Emirates Air Line, even though it is simpler, and cheaper, to stay on the Jubilee Line. The reason is the novelty, which still hasn't worn off after countless flights. The views are unique and you can see so much: The Thames Barrier, Canary Wharf, The Shard, the Olympic Park, the Old Royal Naval College and lots more, on a clear day. 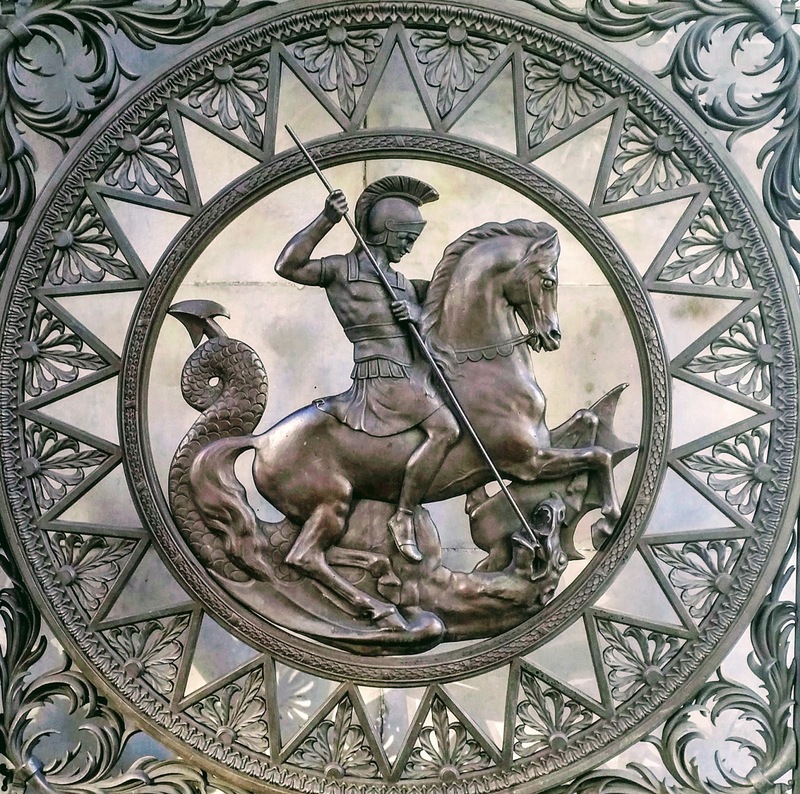 When walking along Whitehall, it is hard to miss the Life Guards, sitting proud astride their mounts, or standing silent in their alcoves at Horse Guards Parade. 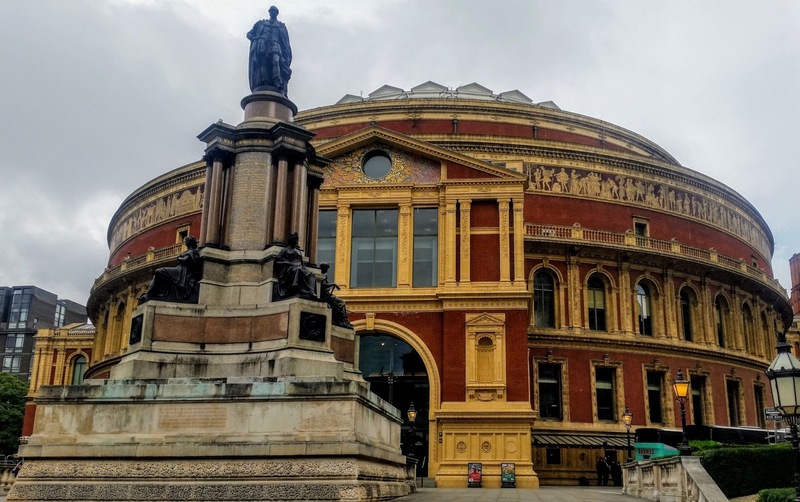 Walking through the arch, which is still the official entrance to St. James's and Buckingham Palace, leads you on to the ceremonial parade ground, beyond. If you time your visit you can watch the Changing of the Queen's Life Guard, which is always a crowd puller. 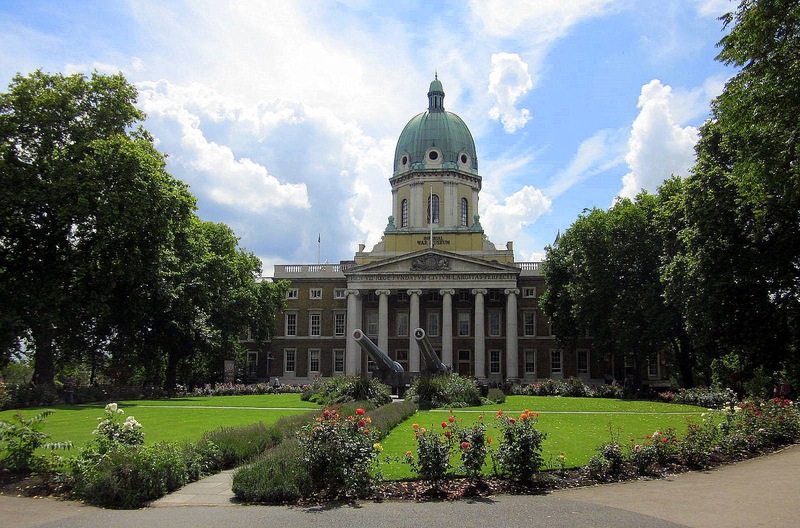 Within Horse Guards Parade is the Household Cavalry Museum, where you can try on the uniforms, learn about their history and also see the stables and regiment in action. The Unfinished City has an amazing amount of statues, memorials, sculptures and public art, both permanent and temporary, dotted around its streets and environs. 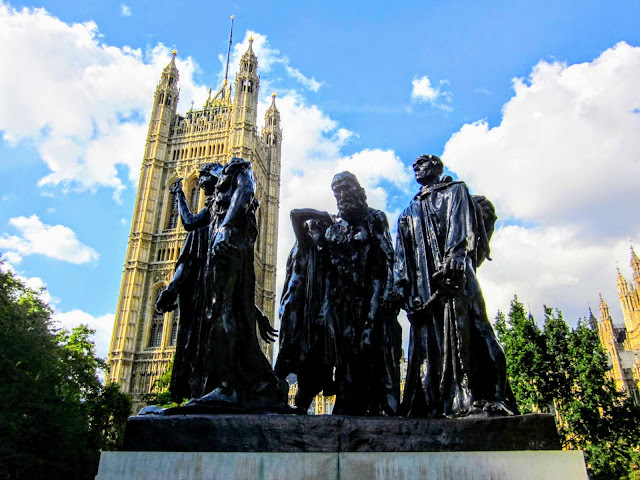 This sculpture stands in the Victoria Tower Gardens, on a spot picked by Auguste Rodin himself. 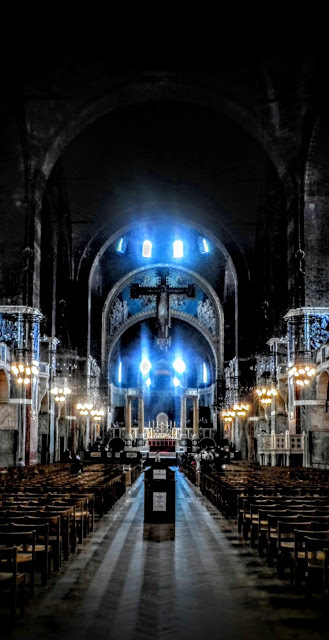 Westminster Cathedral is one of those places, in the Unfinished City, that I had heard a lot about, but had never visited. So I rectified that by paying it a visit. As it is a working Cathedral there are services running, so it is worth picking a suitable time ti visit. The exterior of the building is impressive, but doesn't look intimidating, as it stands at the back of a small plaza. However, once inside, you begin to feel dwarfed by the sheer scale of the building, which is cavernous. The ceiling, which seems to be hidden in a small haze, caused by the smoke from a multitude of candles, seems further away than the altar. And the pillars, which are covered in marble at their lower region, barely seem strong enough to hold up the massive triple-domed roof. There is also an amazing model of the Cathedral and an exhibition that shows some some religious artefacts that have been acquired by the cathedral, since it opened. A trip up to the top of the bell tower allows you to see London in all of its glory, that easily rival those of the more popular tourist sights. 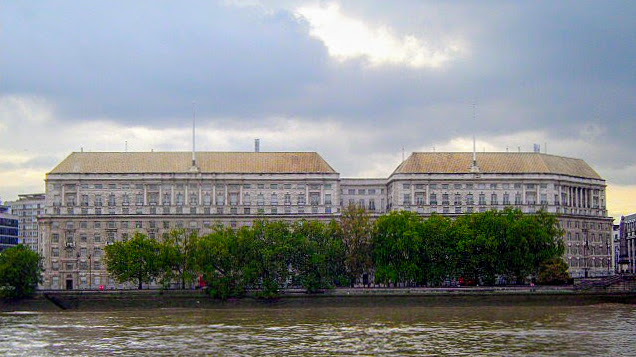 Home to the Secret Intelligence Service - MI6. 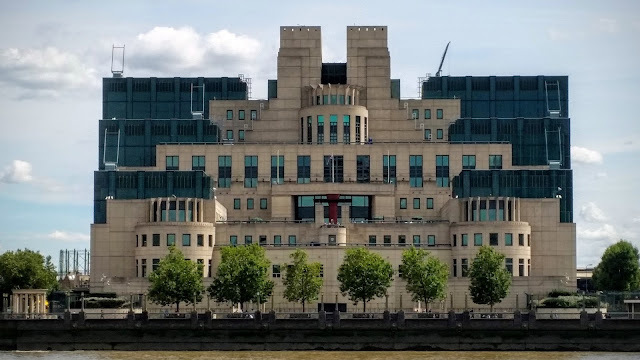 For one of the most highly secure and monitored buildings in the world, you can get remarkably close to the home of Britain's Secret Intelligence Service, commonly known as MI6. 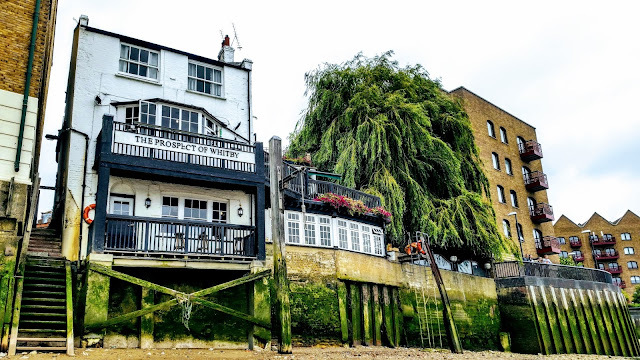 There is a public footpath that runs in front of the building, above the River Thames, and access to the foreshore, via a slipway. The slipway will become inaccessible in September, during construction of a new super sewer. However, one of the best views of the building can be seen from the north bank, directly opposite. More than just a park. 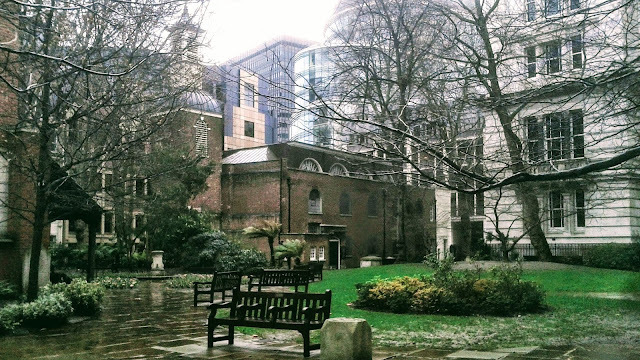 It was during a wet Saturday morning, in January, when I found this quiet little park. I had been enjoying a stroll from St. Paul's Cathedral, through Paternoster Square and up to Greyfriars Church Garden, when I noticed a gate leading into a small park, so I went in to see if there was anything of interest. And, boy, was there. The park appears, at first, to be simply a small patch of grass, surrounded by paving slabs and a couple of benches, with a few trees and bushes breaking up the space. 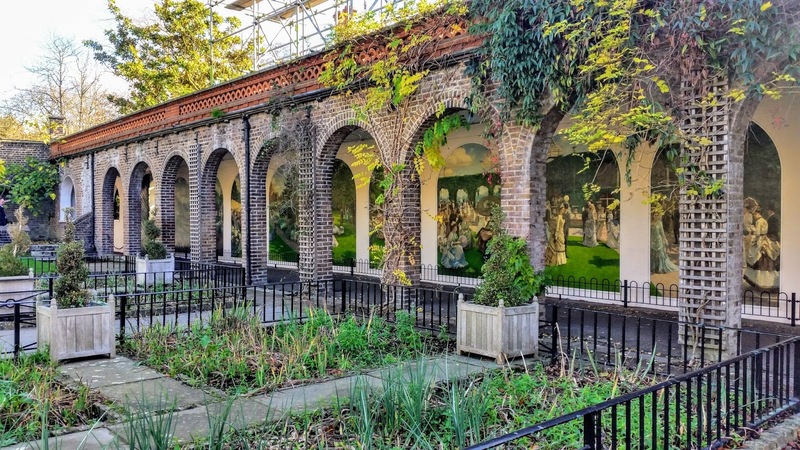 Then you notice a sundial and a small fountain, but It is not until you enter the park proper that you notice a small covered area, where tiles are affixed to a wall. The legend, written on the timber, says, "Commemoration of heroic self-sacrifice." The tiles all commemorate local heroes who lost their lives while saving others. 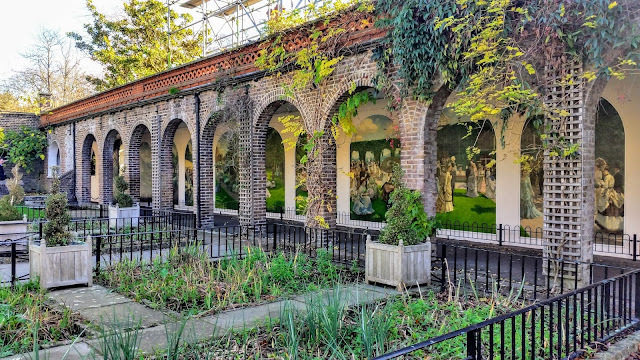 Tags: Commemoration, George Frederic Watts, Heroism, History, London, Memorial, Park, Postman's Park, Self-sacrifice, The Unfinished City, Watts Gallery. My annual September walk, through the Unfinished City, saw me traverse the capital from the Royal Docks through to Whitechapel, via the Thames Path. 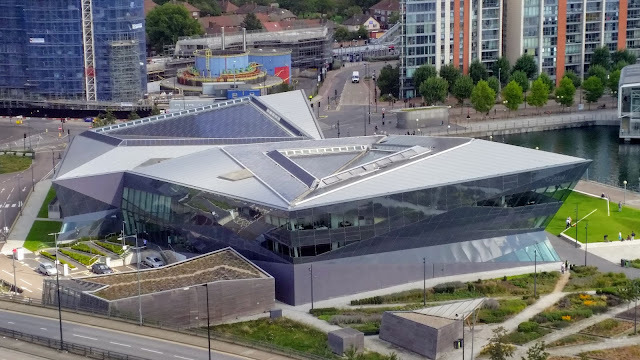 Travelling above the River Thames, via the Emirates Air Line, gives you a great perspective on a truly unique building, named The Crystal. This is one of the more unusual, hidden gems of the Unfinished City, that I had been eager to see for quite a while. The National Trust, who look after the Roman Bath, state that the you can visit at any time between 09:00 and dusk, to view the Roman Bath through a grill, but viewing of the interior must be made by contacting Westminster Council. However, having visited on a number of occasions, the door has always been locked, except one time. On that visit, the window, through which you can view the interior, was so grimy that I couldn't make anything out. There is a light, that works on a timer, to illuminate the interior, but this was out of order. Maybe next time will be better. It was back in March, of 2015, when, as a birthday treat, I went to the Tower Bridge Exhibition, as I was eager to see the newly installed glass floors. I had last walked across them in 1982, when I was 10. The sheer scale of the bridge, and its inner workings, are amazing to behold, considering what tools they had to use, back in the 1880s. I live in Watford, which is the largest town in Hertfordshire, and is the fourth most connected town in the country. So, being just 15.5 miles from the centre of London, getting into the Unfinished City is remarkably simple, and cheap. I can guarantee, though, that 98% of my journeys, into the Unfinished City, are made via the London Underground. The other 2% I make via the overground networks, which include the London Overground and National Rail. One of the things that is instantly recognisable around the world, is the Roundel: The symbol used by Transport for London on all of their stations, bus stops, promotional material, etc..
What many don't realise is how the Roundel developed over time. Where They Who Dared... Won. On May 5, 1980, the Iranian Embassy Siege, in Princes Gate, London, was brought to an abrupt end, when the British S.A.S. stormed the building, to save the hostages. I was 8 years old. 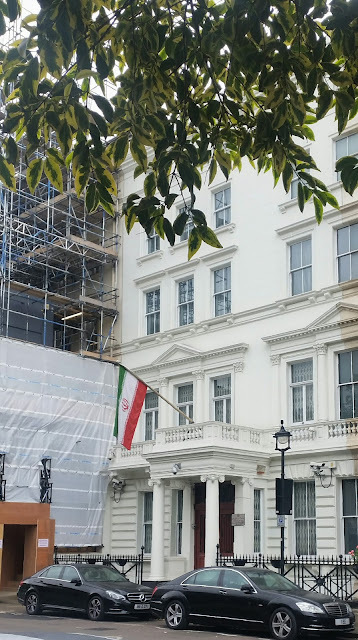 On that particular Bank Holiday Monday, my dad had taken me to London to see what was happening there. All that I can remember of the event was sitting in his car and wondering what was going on, while he kept getting out of the car, with his camera. He was an independent journalist, and also a keen photographer, at the time. It is a shame that I have no photographs, or written notes, that cover that historic day. So, this photo is a memory of that day out, with my dad. A gift from the Russian People. It was during one of my Greenwich walks that I stumbled across this rather odd, and creepy looking, statue of Peter the Great. I had started at the Thames Barrier before heading westward, to see HMS Ocean, which was moored at the Old Royal Naval College. After taking a few photos I continued on my journey towards Tower Bridge, happy that I had got the photos I had hoped for. But, as I turned the corner, on to Glaisher Street, I noticed this rather peculiar, odd and creepy statue. So, once again, I took some photos. It was a beautiful Summer's day, as I strolled down Long Acre on one of my strolls around the Unfinished City. As I reached the junction I was unsure of which direction to take, so I mentally flipped a coin and decided to head along Great Newport Street. 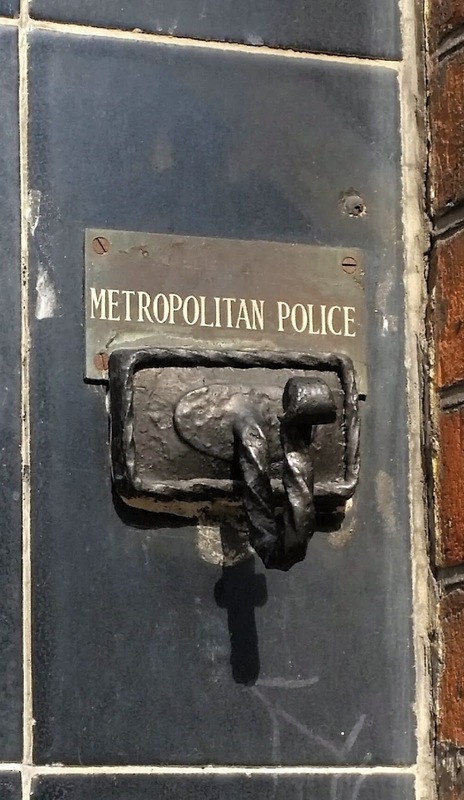 As I crossed the road I noticed this peculiar looking hook, on a wall of one of the buildings. As I had never seen anything like it I decided to take a photo, so that I could do some research when I returned home. As it turns out, this is the only Metropolitan Police Hook in London. A Monument to "The Few". 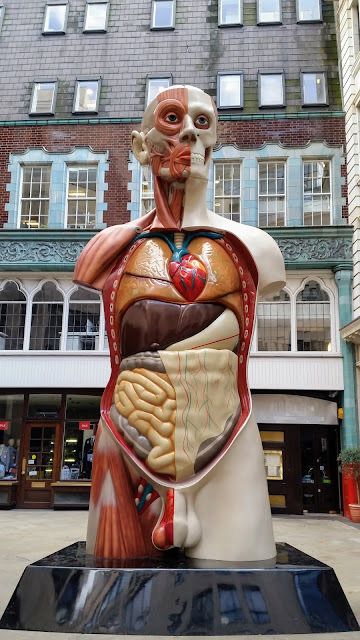 I have always been fascinated by the various statues, monuments and memorials dotted around London, including the temporary pieces that appear every now-and-again. 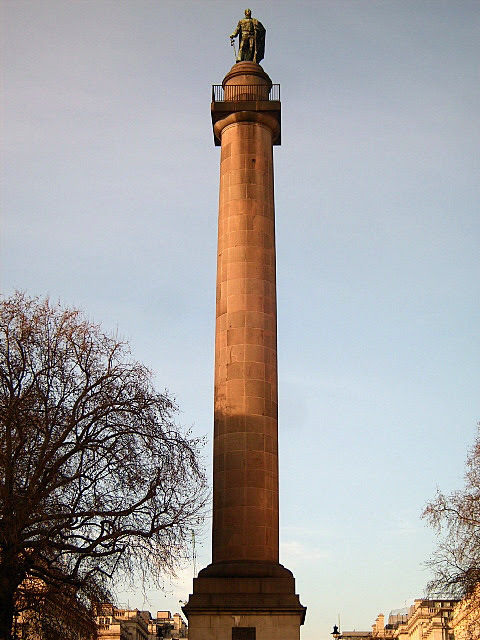 I also have a fascination with the Battle of Britain, so, when I found out about this monument, I had to visit it. The Prospect of Whitby is one of the pubs, in the Unfinished City, that I had wanted to visit for many years. 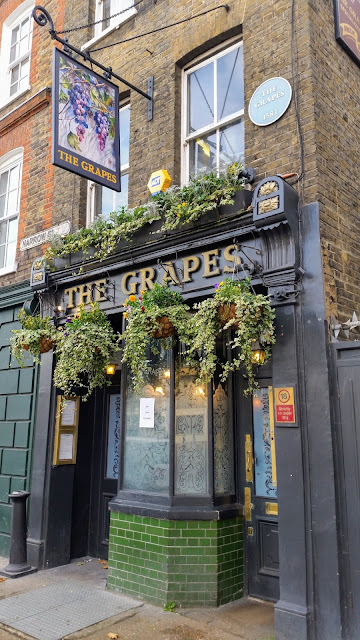 So, as I began a walk from St. Katherine's Dock, I knew where I would be ending up, which made the walk even more exciting. The exterior is amazing, but I much preferred the view from the foreshore. Inside there is a pewter-topped bar, which compliments the 400 year old stone floor, the only original piece of the building. On the foreshore, in front of the window overlooking the River Thames, is a replica gallows and noose, which commemorates one of the pubs frequent clients: 'Hanging' Judge Jeffreys. 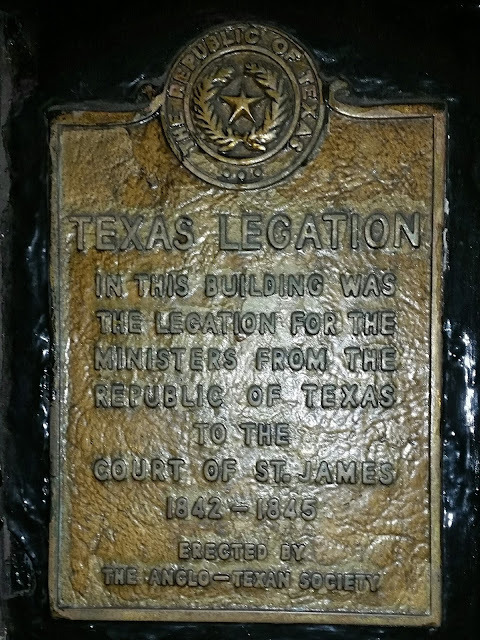 Embassy for the Republic of Texas. It was a late October evening when, after a visit to The Prince Charles Cinema, that I decided to go in search of the long-forgotten Embassy for the Republic of Texas, that I had recently heard about. 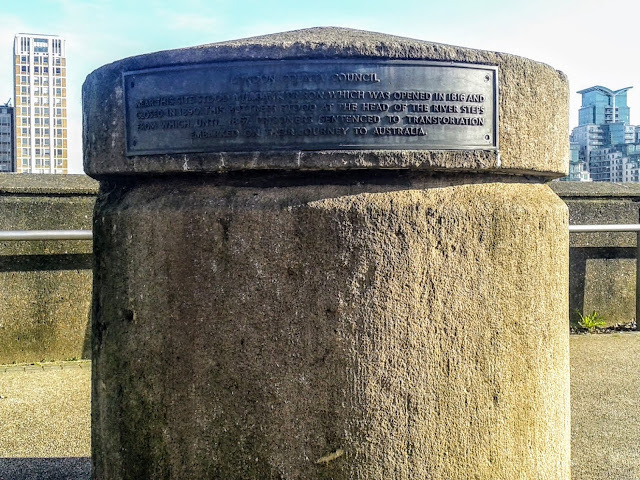 I knew where it had been situated, but, at this time of evening, or morning, I was unsure if I would be able to find the plaque. As you can see, I did.